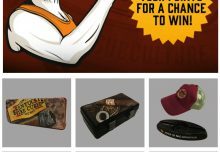 Last night at the annual TPE trade show in Las Vegas, the first annual Tobacco Business Magazine awards were held and Drew Estate came away huge winners with Cigar of the Year going to the Undercrown Sun Grown and Entrepreneur of the Year going to Jonathan Drew! This is a tremendous honor, and the 2nd Cigar of the Year win for Undercrown Sun Grown! 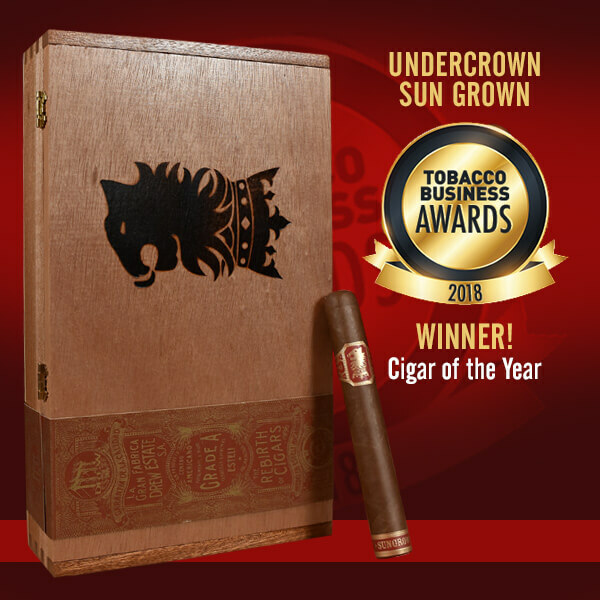 The Undercrown Sun Grown features an Ecuadorian Sumatra seed, Sun Grown wrapper with a Connecticut River Valley Stalk Cut/Cured Sun Grown Habano binder, complimenting a powerhouse blend of Nicaraguan premium fillers. One leaf of extensively aged Ligero from the Nueva Segovia region along the border of Honduras has been selected to enhance the strength of the blend. 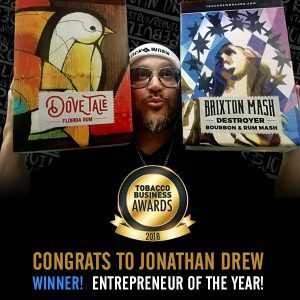 President of Drew Estate, Jonathan Drew was awarded with Entrepreneur of the Year last night as well. 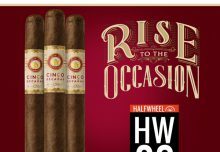 For over 20 years, JD has been a disrupting force in the Cigar Industry and now he brings his presence to the spirits side with the launch of John Drew Brands. He has grown La Gran Fabrica Drew Estate to become the largest cigar factory in Nicaragua while maintaining the core spirit and essence in which Drew Estate was born. 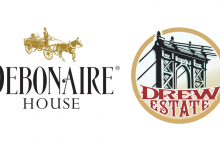 JD never stops hustlin’ and grinding to make Drew Estate the best possible. We are honored Tobacco Business Magazine, thank you!